On World Rhino Day, September 22nd, South Africa’s Springbok Casino will pay tribute to the magnificent Rhinoceros, one of the most endangered species of the country’s Big 5, with a special casino bonus. Make a deposit in September and you can claim a R1500 World Rhino Day bonus on September 22nd. This is a no deposit bonus so once a qualifying deposit has been made earlier in the month no further deposit is required. The coupon code for this bonus, which is available on September 22 only, is: WRD-FREE. 1500 Rand no-deposit bonus available September 22, 2016 only. Springbok’s casino manager had a very personal rhino experience earlier this year. Osita is a resident of ARC (Aquila Animal Rescue and Rehabilitation Conservation Centre), a sanctuary for animals that can never be released into the wild again and a temporary home for those who need attention before being released into the wild. There are lots of photos of Osita on the Centre’s Facebook page (https://www.facebook.com/ARCatAquila) where there is also information on the group’s wildlife rescue and rehabilitation projects. 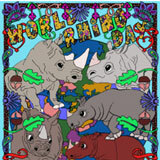 Initiated by WWF-South Africa in 2010, World Rhino Day (http://www.worldrhinoday.org) celebrates all five species of rhino: Black, White, Greater One-Horned, Sumatran and Javan rhinos. World Rhino Day has grown to become a global phenomenon, uniting NGOs, zoos, cause-related organizations, businesses, and concerned individuals around the world. World Rhino Day highlights efforts to debunk myths and diminish the demand for rhino horn. Springbok Casino, where customer service is offered in both English and Afrikaans, has hundreds of online slots and table games from Realtime Gaming (RTG), all played in Rands. Springbok's most popular games are also available in its mobile casino.